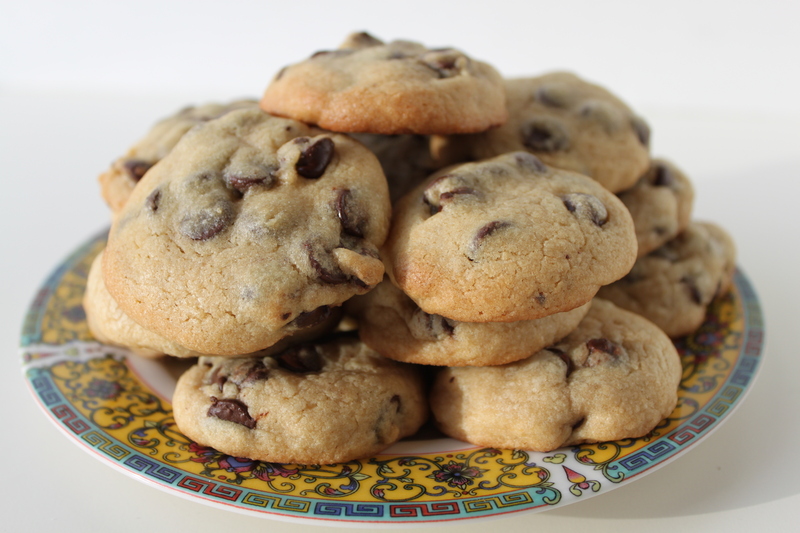 There is something close to atavistic about the smell of chocolate chip cookies baking; it’s an aroma that takes you back to your childhood, even if your mother didn’t bake. The heavy, almost cloying scent is strong enough to lure even our teenage zombies, blinking in the daylight, from their lairs. Bite into the cookie – just slightly crisp on the outside and molten sweet in the middle – and you want to fill your pockets with them and run outside to play. Sitting at the kitchen table on a Sunday afternoon, sipping red wine, talking about nothing in particular and watching L bake rack after rack of cookies seems like a more grown-up thing to do. But, when those cookies come out of the oven and I can hardly wait for them to cool enough to hold, I become, as the cliché goes, a kid again. Thanks, L.
Mix dry ingredients (flour, baking powder and salt) in a bowl. In another bowl beat together butter, granulated and brown sugars until smooth. Use a stand mixer on low-speed for this if you have one. Add eggs and beat until mixed and the batter is creamy. Slowly add mixture of dry ingredients to creamy batter and beat well while adding portions of dry ingredients. Add chocolate chips and stir or beat lightly until mixed. 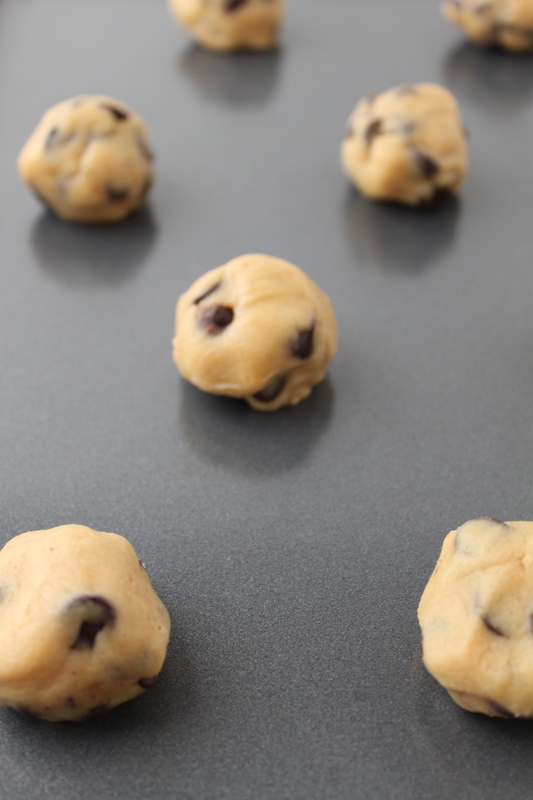 Form balls with the batter and flatten between your hands before placing on cookie sheets (ungreased if using non-stick sheets.) Press down slightly. Bake for 8 or 9 minutes until lightly browned on the bottom. Remove cookies from cookie sheets and place on a rack to cool. This entry was posted in Breads and Pastries, Snacks. Bookmark the permalink.